This year has been an eye-opener for both my eldest son and I. He is a senior in high school, and beyond the excitement of finishing his childhood academic career, it is time to focus on what’s next. He is exceptionally intelligent and going to college has always been a given, yet he has always marched to the beat of his own drum, which means his pathway there hasn’t always been traditional. Having suffered the punishment of being different at times from his peers, he has grown into a man that everyone talks kindly of and with a great deal of respect (with the exception of his brother, which is sibling stuff). He is able to engage in conversation with most adults on issues of the time, and has articulately stood up for social justice issues in the face of judgement of many of his peers. While I may not understand how his brain works at times…especially his disregard of the importance of homework as a simple mechanism of measurement, he has a deep thirst to understand everything he learns in school and it’s application to the world. His viewpoint is that if he get’s good grades on the tests, homework is an incidental annoyance, biting into his already busy world of activity. And while I agree with his logic, getting him to understand that the world just work that way never really took….until he applied to college. Sitting and writing an essay for my application to college, I have been told by a multitude of people that it isn’t necessary. I’ve been told that GPA, ACT scores and extra-curricular’s are the things that matter and all the while these people tell me this, all I can do is think that if I don’t write a letter, I won’t have any chance. Any student can send in transcripts, test scores and letters, but scores don’t show their true character. Character, is what I hope to express in this essay. I have had, in my opinion, a very fortunate and very thoughtful childhood. It is only in the last year that I have realized how fortunate I have been. There are so many on this big blue marble who lack many of the things I’ve experienced, from swim camps, to music festivals, experiencing so many things my parents believe add to anyone’s education. What kind of person would I be, would I have become, if I hadn’t been challenged to spread my experience to all those who in many cases are less fortunate than I am. That is why since the summer 2010, I have participated in youth mission trips across the country. So far I have completed three youth mission trips. Each summer the organization “Group Work Camps” pick areas all around the US that need relief. Each summer I’ve traveled with a group of about 45 high school students to one of these areas. We get set up in a high school where we stay for a week while performing work. For five days we travel to a house and repair it for home owners that are unable to do it themselves. Each time I get to meet people who are facing challenges, and they have shown me the kind of hospitality that no one in the rest of my experiences has even come close to matching. It has been my goal to try to reflect the same kind of hospitality and kindness in my own daily life. He does go on to speak about growing beyond the arrogance of youth, thinking homework doesn’t matter and that his senior year complete with three AP classes, he has shown he can get all A’s and B’s. I just want him to know that in my eyes he has been weighed and measured and I have found him exceptional. 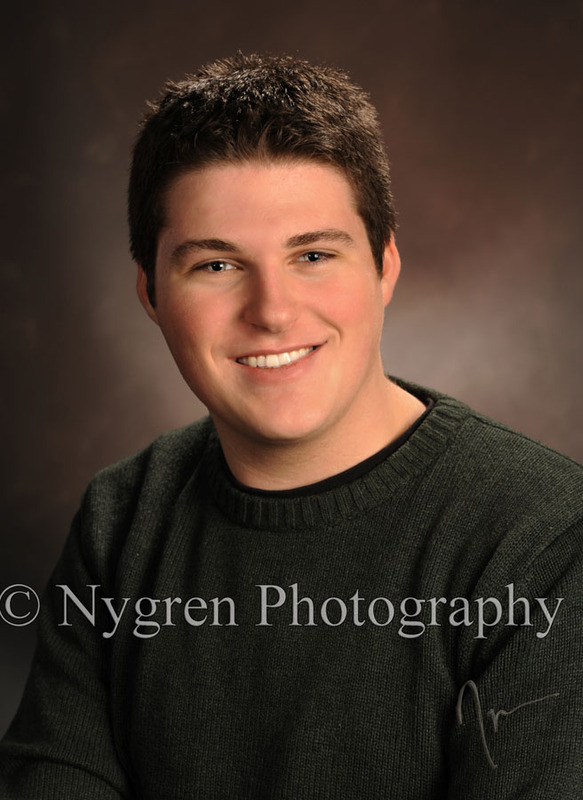 Thanks to Brad Nygren on this photo…he did an exceptional job on his senior portraits.